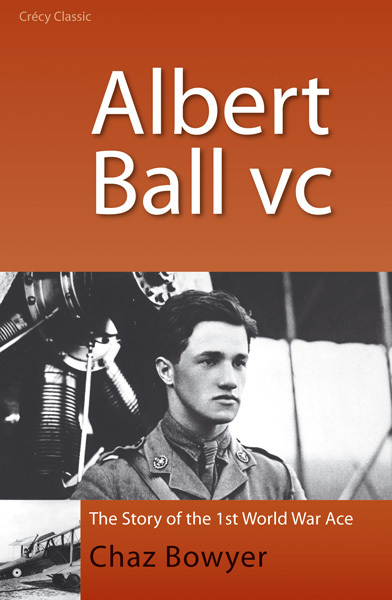 When I was a very small boy my father’s bedtime stories were often tales about his boyhood heroes - ..
Albert Ball VC THE story of Albert Ball VC has been told many times and there are some good biogr..
As one of the very first aces in the very first air combat war, the daring exploits of pilot Albert Ball in the 1st World War caught the public imagination like no other. He became possibly the first ‘celebrity’ ace and almost every other pilot competed to equal or surpass his mounting score of ‘kills’. 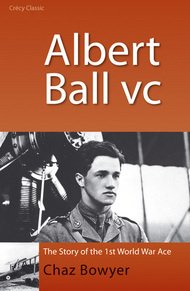 Albert Ball acquired his wings in the Royal Flying Corps in January 1916 and was first posted to France in February of that year. He joined No 13 squadron and for a six-week period in March 1916 saw almost constant action flying the Squadron’s Bristol Scout. Moving to No 11 Squadron in May 1916, Ball’s score quickly accumulated. He had acquired a reputation as a tenacious scout pilot, often flying alone in his Nieuport and invariably returning to base with a near empty fuel tank. In August he returned to No 11 Squadron and soon after became the highest scoring scout pilot of the time. Waging his solitary aerial war, Ball became an inspiration to the RFC at a time when its squadrons were being badly mauled. Ultimately he accounted for 44 German aircraft and was posthumously awarded the Victoria Cross. This book is a compelling and meticulously researched account of this tragic hero, who seemed almost destined to die young and so immortalise his own legend as one of the very first fighter aces. ‘A highly detailed and very readable biography’.